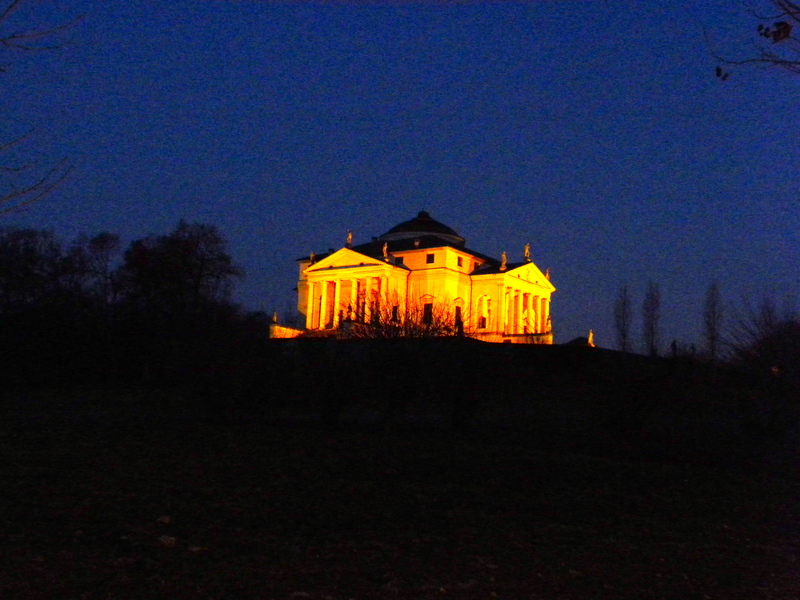 One of my favorite sights in the Veneto region (where I live) is the Rotonda building, officially called Villa Capri. 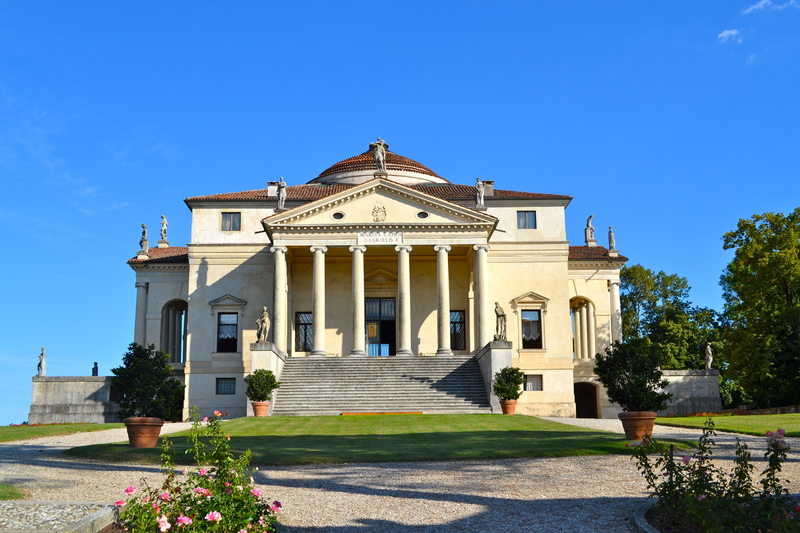 The Rotonda, designed by Palladio in 1566, is a large villa with four equal sections, topped by a dome. It is a study in proportion and direction, with each angle being positioned towards the four cardinal points. The angle on the picture above is pointing exactly north. 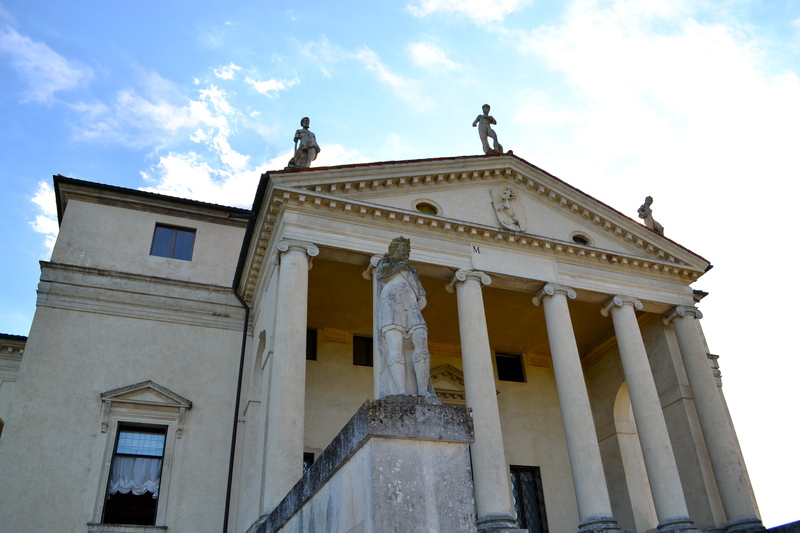 The Villa Rotonda is a villa-temple, an abstraction, mirroring a higher order and harmony. With its corners oriented to the four compass points, it is primarily meant to be read in terms of its volumes – a cube and a sphere- almost alluding to the primary solids in Plato’s universe. There are four equal rooms on the inside, all surrounding a main hall, which is spherical. The inside of the villa is decorated with frescos of Roman gods, and the top of the dome was originally open so rain water could collect in a basin in the main hall. They do not allow pictures on the inside, but I actually think the outside is more impressive anyway. While this is an import piece of Italian architectural history, it is also very important to American architectural history. Thomas Jefferson was so enchanted with this building that he used it as the inspiration for his own villa, Monticello! 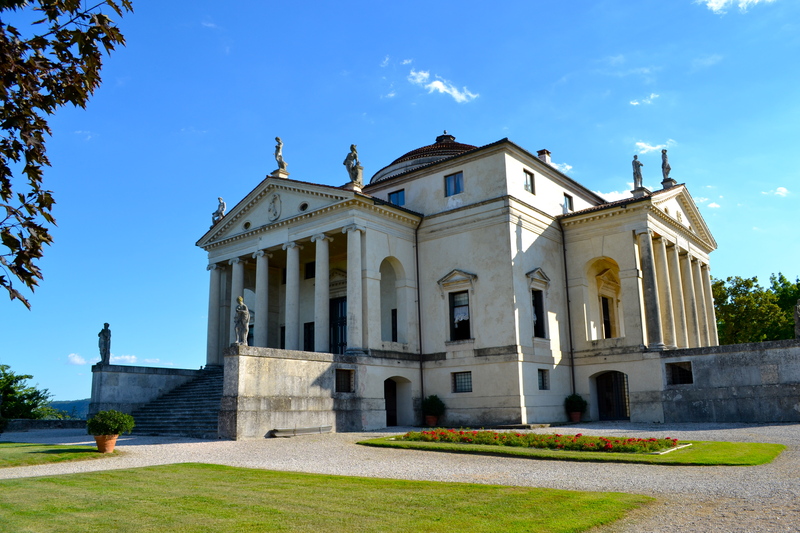 This entry was posted in Uncategorized and tagged Italy, Travel, Vicenza, Villas. Bookmark the permalink. this is stunning, imagine if it was your home! It would be amazing, but cold in the winter!